Discover Kea island’s wild natural beauty both above and below the water, stroll through its mountain villages as yet untouched by time. Trip checkins are on Saturdays, at 5:00p.m. and you’ll be checking out from your yacht in Kea on Thursday, at 5:00p.m. Setting off from Athens, you’ll sail along the southern Attica coastline. 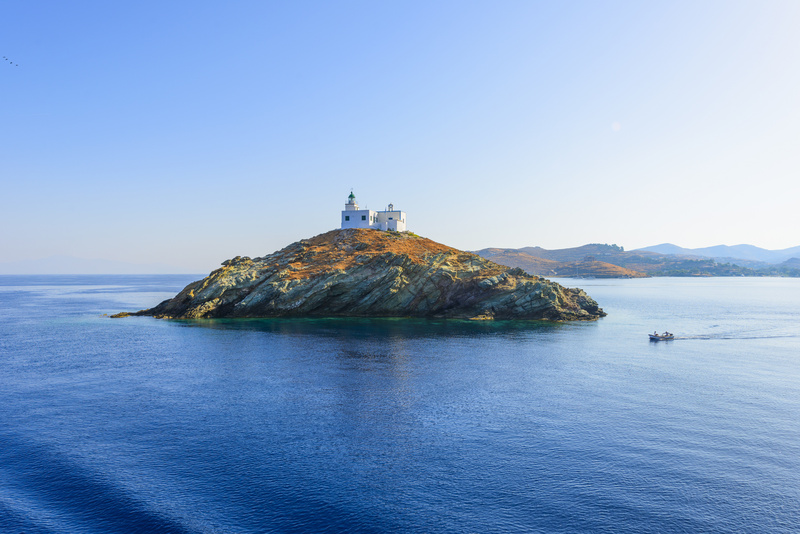 Depending on the weather or your wishes, your captain may head straight to Kea and the port of Vourkari, or dock at the port of Sounio for the night. 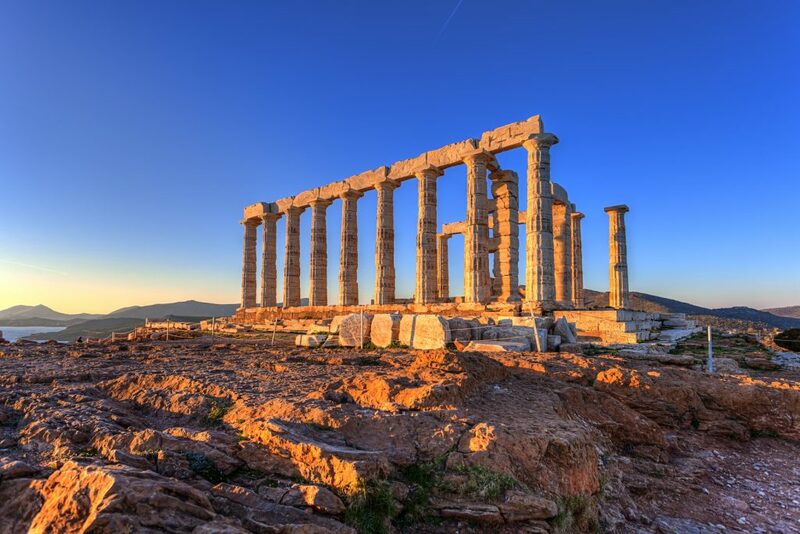 If morning finds you at Sounio, visit the Temple of Poseidon for a grand view of the Aegean. Due to its proximity to Athens, Kea island a popular weekend destination that still offers an authentic experience. You’ll be docking at Vourkari, an understated yachting hub to the north of the main port of Korissia. Kea is a lush and geologically complex island, home to the largest Oak forest in the Cyclades and a number of small caves. Vourkari’s coastal road features restaurants and cafes as well as local art and clothing stores. The legendary Vinilio has been playing soul and funk tunes by the sea for the past 20 years. When you’ve had your fill of the present, go for a trip back in time to Ioulida. 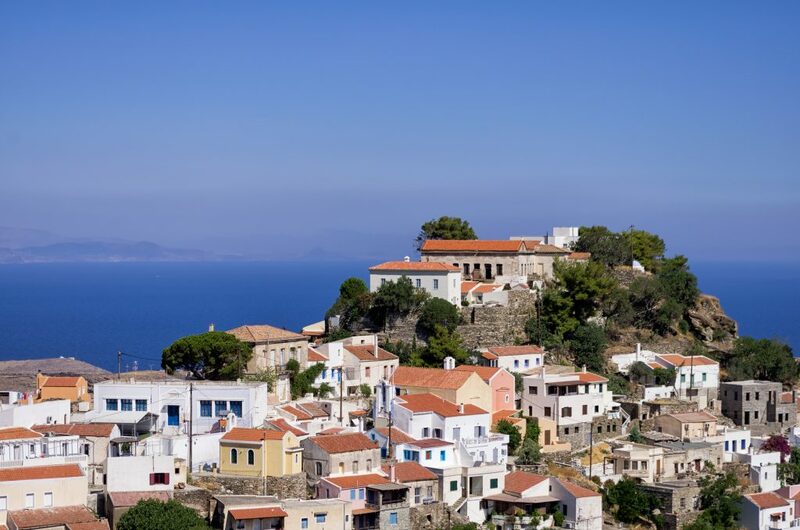 This tiny 18th century town perched high on a gently sloping mountain offers a magnificent view of the sea. The Stone Lion of Ioulida is nearby, carved out from the rock and defying the elements for more than 2600 years. At Ioulida you’ll also find Kea’s Archeological Museum. At the southern end of the island, near the Karthea beach is the island’s best kept secret – ancient Karthea. Its Acropolis might be in disrepair but the location is amazing and well worth the 5 minute climb from the beach – hikers usually need to walk for upwards of an hour to get there by land. There are many stone footpaths that crisscross the island – don’t miss the caves in Kalamos and Agios Timotheos. Scuba divers also flock to the island, due to its clear waters, rich marine life as well as shipwrecks and undersea caves. Korissia beach is next to Vourkari – though not the best beach on the island, it is conveniently located near to shops, taverns and cafes. We recommend that you sail northwest to Otzias beach, a popular and family friendly beach where you’ll find valuable shade from the Eucalyptus and Tamarix trees. To the south is sandy Pisses, also peppered with trees and a great location for watching the sunset. Koundouros is a popular beach resort made up of a number of small bays. Most traditional windmills on Koundouros have been turned into private luxury homes, but you can admire them from a distance. Karthea beach is split in two by the cliff upon which lies ancient Karthea – watch the sunset from the Acropolis that’s just 10 minutes away by foot. Accessibility to Orkos is difficult if you don’t have a yacht, that’s why you might have the whole beach to yourself. If that feels too secluded, you can try the semi-organized and family-friendly Xyla beach.